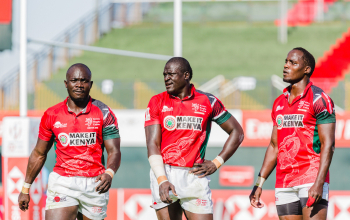 Kenya 7s head coach Paul Murunga named five debutants for the third and fourth legs of the 2018/19 HSBC World Sevens Series- Hamilton 7s and Sydney 7s set for January 25 and Feb 2 respectively. Fresh from making his debut for the 15s national side at the Rugby World Cup repechage in France, Kenya Harlequin fullback William Reeve is joined by Menengai Oilers forward Harold Anduvate, Brian Wandera of Homeboyz, Mwamba 7s captain Eliakim Kichoi and Mark Wandetto who travels as player 13. 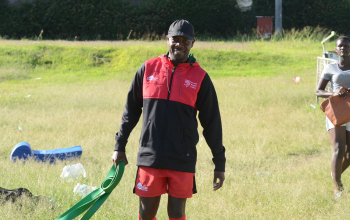 There is a return to the team for KCB speedster Jacob Ojee(pictured) for the first time since the Paul Treu era. 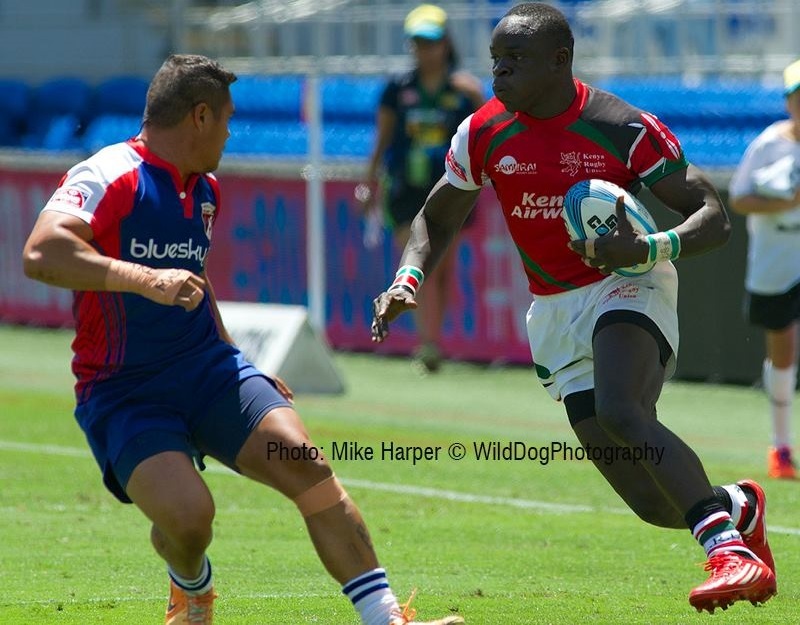 He was among six debutants taken by Treu to Gold Coast 7s in 2014. Michael 'Tunjams' Wanjala of Homeboyz, who also made his debut alongside Ojee, returns to the team for the first time since 2014/15 season under then head coach Felix ‘Totty’ Ochieng. Ojee will captain the squad in this Ocenia tour with Wanjala being his assistant. Bush Mwale is also back for the first time this season. He is joined by Vincent Onyala, Johnstone Olindi, Daniel Taabu and Cyprian Kuto all who played at Dubai and Cape Town 7s. 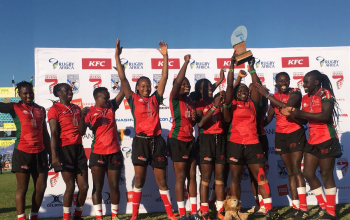 At Hamilton 7s, Kenya 7s will play South Africa, France and Scotland. They started the season on a low note picking one point in Dubai and three in Cape Town to leave them 14th with four points out of a possible 44. 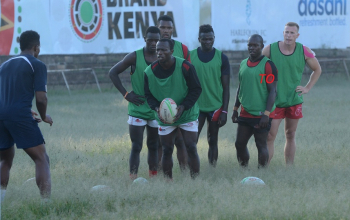 Kenya 7s continues to miss the likes of Collins Injera, Andrew Amonde, Sammy Oliech, Nelson Oyoo, Jeff Oluoch, Dan Sikuta, Dennis Ombachi, Brian Tanga, Eden Agero, Willy Ambaka, Oscar Ouma, Augustine Lugonzo and Billy Odhiambo who have not trained this season. 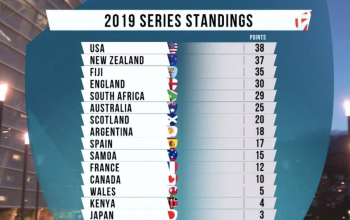 The 2018/19 Sevens Series is the pathway to Tokyo 2020 Olympics where the top four teams in the men’s and women’s HSBC World Rugby Sevens Series 2019 will confirm their places in Tokyo. An additional six teams will qualify through the men’s and women’s World Rugby regional association Olympic qualification tournaments while the final opportunity for Olympic qualification will be at the World Rugby Olympic Repechage tournament.